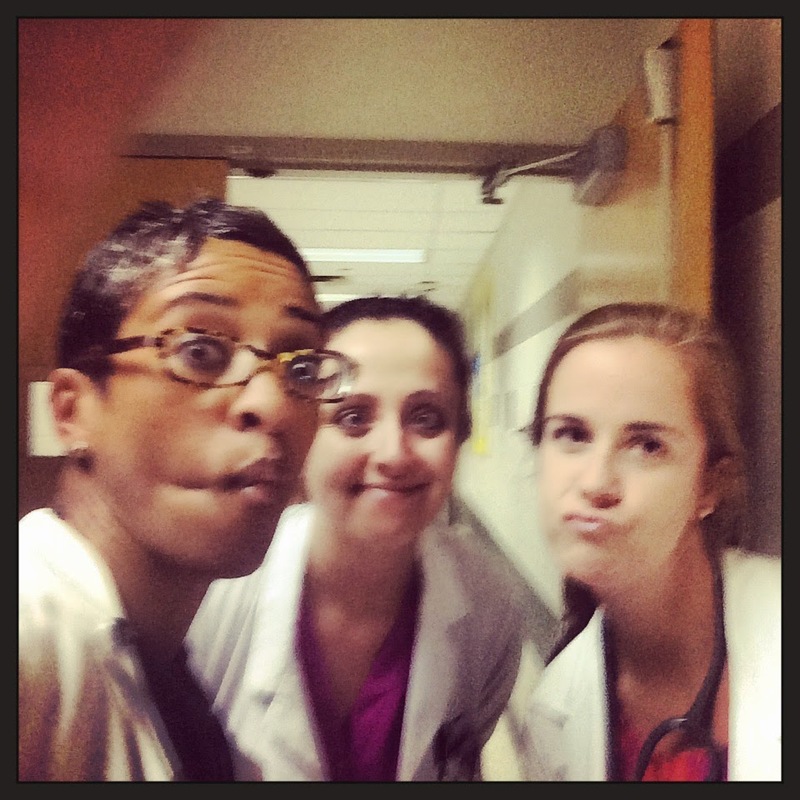 Reflections of a Grady Doctor: Failing miserably. . .
. . . at my 21 days of writing. But a sister is tired after work, man. I have so much to say, too. 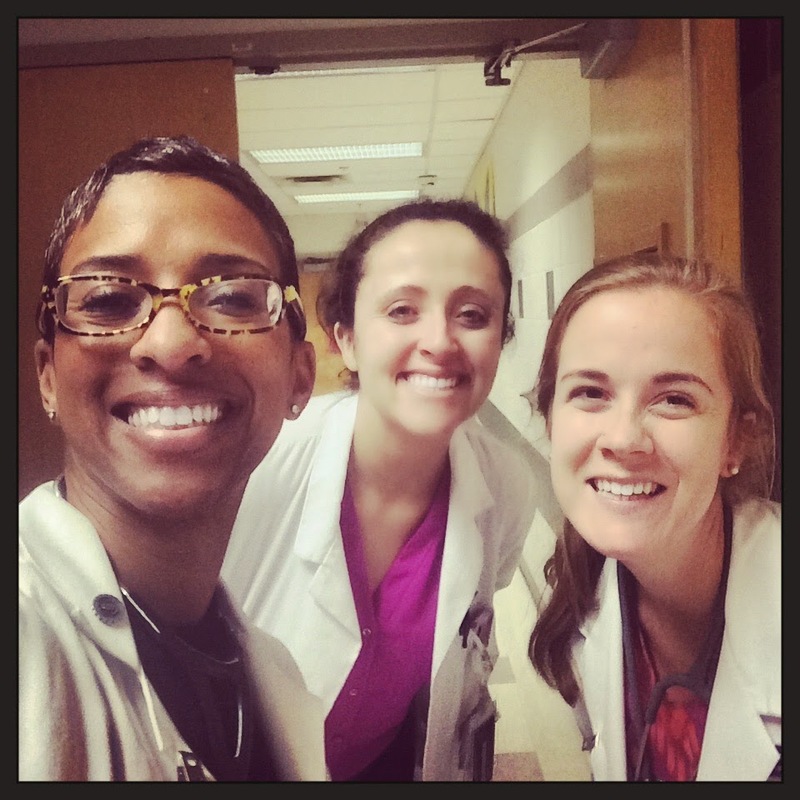 I just need to keep my eyelids open long enough to write. . . .
For now, enjoy these two fun photos from Friday of me rounding with the two awesome medical students on my team. We were stamping out some serious disease, man. Learning lots, connecting with people, and, I think, taking excellent care of the human beings under our care. Beautiful women doing the work of God.